I'm not sure I totally agree, but most people will do whatever it takes to avoid bankruptcy. Bankruptcy basically means that you have taken on too much debt and cannot repay. The first thing you should do to avoid bankruptcy is to take time to complete a Budget or Financial Worksheet. It sounds so simple, but most people I counsel have no idea what they are spending each month. All they know, is there is not enough money to pay for everything. You have to know exactly where you stand, financially. How much money is coming in and how much is going out each month. Do you have a large car payment? Maybe you could downsize or refinance to reduce your monthly payment. How about all those lunches, coffee, lattes? Can you cut down to a couple times a week instead of every day? Think of it as a special treat, not a necessity. Maybe now is a good time to quit smoking! I know it's easier said than done, but at well over $100-$150 month it would be good for your budget and your health. Do you have to have that health club membership? Could you work out at home instead to save $35-40$? Have I made my point? You may be able to find a few hundred dollars each month that could possibly save you from bankruptcy! You will have ONE MONTHLY PAYMENT which is divided and sent to each of your creditors per the agreement arranged with them by a DEBT MANAGEMENT COMPANY. The program is usually designed to repay 100% of your debt over 3-5 years. The problem is that you may not be able to afford the monthly payment which is usually about 2.5%-2.7% of your total unsecured debt. 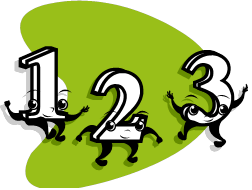 Do a quick calculation to see if that fits into the budget you created in step 1. In a DEBT SETTLEMENT PROGRAM, negotiations are made with each of your creditors to accept much less (often 50% or less) of the balance. You will be making a monthly contribution to a FDIC Reserve Bank Account where your funds accumulate for settlement offers. Depending on several factors, you may able to not only GET OUT OF DEBT in 24-48 months or less, and you will avoid BANKRUPTCY. Although you can negotiate with creditors on your own, it is not easy! We have been helping clients negotiate and settle debts for over 10 years. 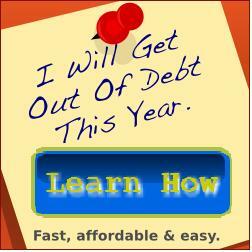 Is DEBT SETTLEMENT FOR YOU? Find out today! If cutting expenses, debt management or debt settlement will not help, then you should consult a qualified bankruptcy attorney. Bankruptcy is a way for you to get a fresh start and is not nearly as tramatic as you may think! Bankruptcy should always be a last resort (see our Debt Relief Options for bankruptcy alternatives). However, if you have decided to file bankruptcy but have not done so yet, take your time and don’t rush the process – it is more important to ensure that all your bases are covered rather than make a mistake that may cost you later. With these three reports, you will have access to a file number and a phone number needed for accessing customer service. You will see the addresses for each creditor on the credit report. If it is not there, then you can call customer service to ask them to provide you with the missing information. When you call the bureau you can ask them to provide you with the phone numbers for each of the companies showing on the credit report. If they don’t handle the account, then ask them for the name and address of the collection agency that will take payment. When dealing with creditors and collection agencies don’t let them bully you or upset you over outstanding balances. Just collect the information you need. All you have to say is, “Thanks. I will call your company back soon regarding this matter.” Don’t give them time for a rebuttal – just hang up. If they push the matter, then only as a last resort tell them you will be filing bankruptcy. Give them the name and number of your attorney and end the call. Your attorney will need the name, addresses, balances, and account numbers for eachcreditor to complete the bankruptcy papers. If there are creditors that you want to continue paying, then it is very important at this time to tell your attorney that you want to offer reaffirming on the debt. The attorney will then send the offer to the creditors you have selected who must accept it. Then the judge must accept the offer too. The creditors will continue reporting the balance owed and show the status “reaffirmed” on your credit report. Creditors have the means and responsibility to manually update account information with credit reporting agencies. However, at this point no one is requiring creditors to do this. When creditors don’t update account information with the credit reporting agencies, then you get an incorrect credit report that still shows you owe on the accounts in question, and that they are currently in collections or charge off status when in fact they are not. Make three copies of the section of papers that list all of the creditors and collection agencies that were included in the bankruptcy – usually this is called the Schedule F.
Forward these documents along with the discharge to all of the credit-reporting agencies requesting that each creditor included in the bankruptcy be updated to properly reflect a zero balance with the status included in bankruptcy. Be sure when mailing correspondence to the credit reporting agencies to include a copy of your driver’s license and mail “certified return receipt requested”. This will ensure disputes are processed with little delay. Finally, if you have a creditor or collection agency which is not honoring your bankruptcy and continuing collection efforts, then be sure to contact your bankruptcy lawyer. Give your lawyer the name and address of the company bothering you so that he or she can send them official notice. Follow up with the lawyer if the creditor persists in harassing you. It is a violation and they can be held accountable if they don’t cease after notification of the bankruptcy. As with all consumer issues, knowing your consumer rights throughout the bankruptcy process is essential. Taking a proactive approach at the onset of the process will help you on your “road to credit recovery”. Bankruptcy should always be a last resort (see our Debt Relief Options page for bankruptcy alternatives). However, if you are determined to file bankruptcy, then please take your time and don’t rush the process. It is more important to ensure that all your bases are covered than to make a mistake that may cost you later. You need to obtain your credit reports from the three major credit-reporting agencies (Experian, Equifax, and TransUnion). Fortunately, you can conveniently obtain all three of your reports online in only minutes from www.annualcreditreport.com. You need the most up to date information you can get when filing for bankruptcy. When dealing with creditors and collection agencies don’t let them bully you over outstanding balances. Just collect the information you need. All you have to say is, “Thanks. I will call your company back soon regarding this matter.” Then HANG UP! Your attorney will need the addresses, current balances, and account numbers for all of your accounts to complete the bankruptcy papers. If you don’t see a creditor or collection agency on the credit report, but you know for a fact you owe money, then you need to find any billing statements or collection letters you may have received. These statements and letters will have necessary address information and phone numbers along with amounts still owed. If there are creditors that you want to continue paying, then it is very important at this time to tell your attorney that you want to offer reaffirming on the debt. The attorney will then send the offer to the creditors you have selected who must accept it. Then the judge must accept the offer too. The creditors will continue reporting the balance owed and show the status “reaffirmed” on your credit report. Once the bankruptcy has been discharged, your balances will show as zero on your credit report. If you find that any of your creditors listed in your bankruptcy are still showing outstanding balances or if any of your creditors continue their collections efforts once the bankruptcy has been discharged, there are are a few steps your can take to resolve the issue. When mailing correspondence to the credit reporting agencies, include a copy of your driver’s license and mail “certified return receipt requested”. This will ensure disputes are processed with little delay. If you have completed these 4 steps and you still have a creditor or collection agency which is not honoring your bankruptcy and continuing collection efforts, then be sure to contact your bankruptcy lawyer. Give your lawyer the name and address of the company bothering you so that he or she can send them official notice. Follow up with the lawyer if the creditor persists in harassing you. It is a violation and they can be held accountable if they don’t cease after notification of the bankruptcy. 1. Do not pay back money to friends or relatives. If you have borrowed money from family members or friends, now is not the time to pay them back. If you make any payments like this within one year prior to filing your petition, you must disclose those payments on your bankruptcy petition and to the trustee at your meeting of the creditors. The bankruptcy court considers these to be preferential, insider payments. That means, you are using money that could go to your other creditors to pay to people you know. It also means that the court can recover those payments from the person you paid. Imagine your mom getting a letter or call from your trustee saying she owes the court money. 2. Do not run up your charge cards. Some people think that if they are going to file for bankruptcy anyway, they may as well charge their Christmas presents or buy the new television they've been wanting. But, that is a really bad idea. Luxury goods over $550 are not dischargeable if purchased within 90 days of your filing date. Also, if you have recently run up your charge cards before you file, the credit card company is more likely to challenge your discharge. If they can convince the court that you incurred the charges knowing that you were going to file for bankruptcy, that is considered fraud and the charges are not dischargeable. You could also face dismissal of your bankruptcy and other penalties for fraud. 3. Do not take a cash advance. Similar to running up your credit cards, cash advances taken right before you file will not be dischargeable, and you will remain liable for repaying that debt. 4. Do not get a home equity loan. People often get a home equity loan to consolidate credit card or other unsecured debt. This is a horrible idea because you are now putting your home at risk. Unsecured debts can be discharged in bankruptcy, but if you want to keep your house, you will have to continue paying the home equity loan. 5. Do not cash out your retirement account. Many people tap into their retirement accounts to try to keep up with their bills, then end up filing for bankruptcy once that is gone. Retirement accounts can be protected in bankruptcy, so there is no need to use up those funds. You will also pay income tax and penalties on the amounts withdrawn. Finally, a retirement account distribution may affect your means test. Protect your future by saving your retirement for its intended purpose. 6. Do not transfer property. Now is a bad time to transfer assets such as cars, boats, real estate, etc. If you do not receive fair market value for the transfer, it could be considered a fraudulent transfer and the trustee will go after the person who received the property to get either the asset itself or the cash value of that asset. 7. Do not ignore your problems. When you are overwhelmed by debt, it is easy to procrastinate and try to ignore the problem. But, if you do that, you are more likely to end up having your wages garnished or bank account levied. The earlier you deal with the problem, the faster you will get relief. Bankruptcy should be your last resort. Before making the decision to file bankruptcy, you should consider Debt Consolidation and/or Debt Settlement. 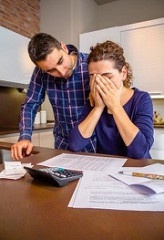 Want to know more about how to avoid bankruptcy? 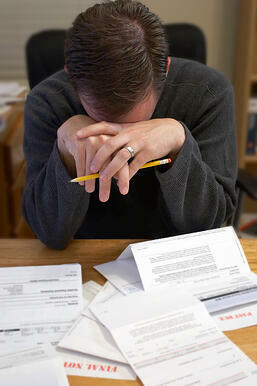 Our debt eliminations programs can help you get out of debt without bankruptcy. 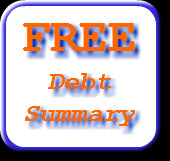 Get a FREE Debt Analysis by clicking on the button below or feel free to give us a call at 877-492-4109 for a free, no obligation, analysis of your debts and financial situation!